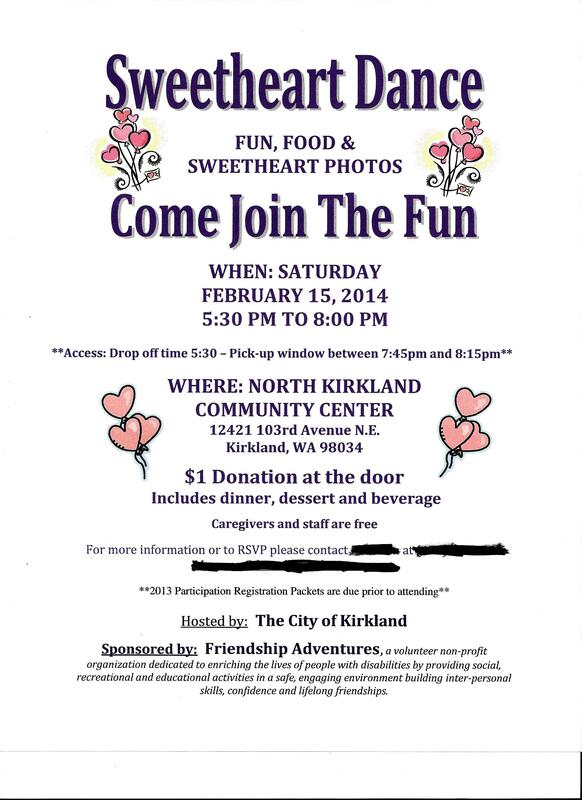 On February 15, 2014 there was a Sweetheart Dance at a community center in Kirkland, Washington put on by Friendship Adventures. Our church is active in Young Life Capernaum so a few weeks before, my wife and I as well as a few others from our church were asked to be chaperones. By the time my wife and I arrived at 5:30, it was already packed with people wanting to have fun. We waited in line for pasta with meat sauce, salad and a roll with cake afterward. Soon a DJ was yelling something and people got excited, then there was music (I think it was music) and some dancing started. I asked my wife if she wanted to dance. But she said ‘later’. Looking around I saw a young woman in a wheelchair who comes to our church. She is part of the Young Life Capernaum group Bible study. Now before any of you get funny ideas, my wife and I did talk about it in the car on the way over there. So when the “music?” was going full volume and young people were kicking up their heels, I went to my wheelchair bound friend and asked her if she wanted to dance. She said “Yes”. So I grabbed both of her hands and kicked up my heels. She was swinging her hands back and forth and was having fun. Then I let go of one hand and raised her other hand up above her head and gently spun the wheelchair around. She was surprised, but she loved it. After awhile another chaperone from our church danced with her for awhile. Watching some of these young people was interesting. I watched one couple and the girl wanted to kiss the boy she was dancing with. But every time she tried, he would duck back. She was definitely more into him than he was into her. Most every one else either danced or watched, or ate more cake. After awhile I decided to dance with the gal in the wheelchair again. So I went out to the dance floor, grabbed her hands and kicked up my heels again. Then the music paused and began again and after still kicking up my heels, I noticed every one else doing the… Slow dance??? Wait a minute! I may have a slight hearing problem, but I do know the music for a slow dance it should have a slower pace sound! Now what? I wasn’t planning on this. Well I did the only thing I could do. I bent over, put my right hand on her left shoulder and held her right hand and slowly moved her around the dance floor. Guys let me tell you. When you stand at over 6 feet 3 inches (1.9 meters) tall, it’s not easy to bent over a wheelchair like that for the whole song! I danced with my wife a few times, both a slow and otherwise. After awhile she told me to stop copying other people. But I couldn’t hear the music! How am I suppose to know how to dance if I don’t watch other people? Instead of music all I heard was noise, like that of an extra loud carnival. In fact the slow music and the fast music sounded the same to me. 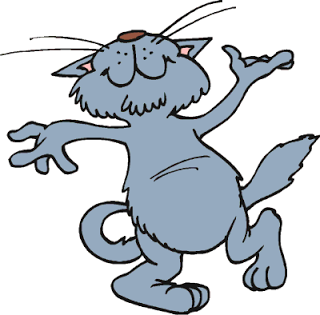 Once I was sitting watching the people, and with all the random noise, everyone on the dance floor jumped at once! Then with all the random noise they started doing the “YMCA” sign with their arms. My wife and I left a half hour early. I couldn’t take any more of the sound. Before we left though I went over to my friend in the wheelchair and thanked her for the dance. Then my wife and I left and had a bite at a Mexican restaurant on the way home. I think it was quiet, I’m told it was. My ears were ringing. In fact they were still ringing all through church the next morning. But it was fun. After church I saw the gal in the wheelchair and she found the evening very enjoyable. My son was recently diagnosed with significant hearing loss. He is three. We don’t have the best insurance coverage, so we need to find the best option for hearing aids. We need inexpensive, yet does a great job at providing sound. Sorry to hear about your son’s hearing loss. This isn’t perfect, but maybe try hearing protectors used by law enforcement. Officially they are not hearing aids, but they do look like them and amplify, are adjustable for hearing, and some even have T-coils. Also push your son to learn. I have had a guidance councilor (for college) and a doctor who both were very hard of hearing. And they were both very good at their jobs.